Is your marketing agency taking advantage of every possible tax break? Did you know you could get up to $250K in tax credits? A lot of agencies are actually leaving money on the table in the form of an R&D tax credit. 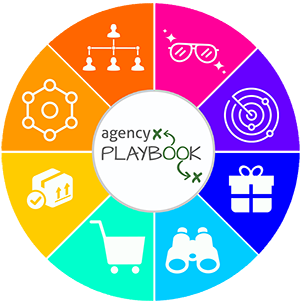 So, let’s dive in, and break down some actionable steps that any agency can take to cash in. Tax credits vs. tax write-offs. #1 tax credit agencies can take advantage of. 4 steps to claim the R&D tax credit. When to claim the credit and when not to. Today, I talked with Jim Morrow from AATDM where he does tax consulting and CFO reporting for digital media companies. I actually met Jim after a conference; he gave me a ride to the airport. After figuring out he was an accountant, we talked shop for the entire trip and I just knew I had to get him on the podcast. Tax credits are one of those things that too many agencies just aren’t taking advantage of, which is just like throwing money away. Jim is here to tell us how you can take full advantage of tax credits that you’re due. 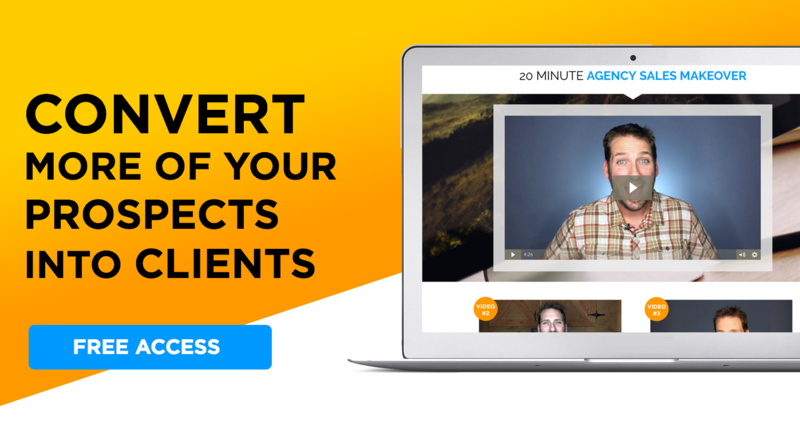 Today, we’re going to get hyper-actionable, and show you how you can save your agency some money! Agencies need to be paying more attention to available credits. Credits have some significant benefits over write-offs. Here’s the difference. Tax credits are dollar-for-dollar reductions off your tax. Which means credits are basically free cash! If you have a $10k credit, you get $10k off of your paid taxes. Write-offs — or deductions — lower your taxable income. So, let’s say you made $150K, but you had a $50K expense. That $50K will lower your taxable income, but not lower your actual taxes. Make sure that you look for those tax credits! Jim talked about a tax credit nearly every marketing agency can take advantage of — the R&D tax credit. The R&D tax credit — officially known as the Credit for Increasing Research Activities — can refund your agency as much as $250,000 a year! That’s money-in-the-bank! The R&D tax credit is federal (though some states let you “double dip”) so it’s folded into your federal tax return. Customizing out-of-the-box technologies to capture unique analytics. So, all of that hard work your agency has put into customizing your Infusionsoft or HubSpot software would count towards the credit. The credit is also great for those of you in tech-heavy niches — like VR or AI. But, let’s be honest. Almost every agency is going to devote some man hours to, at the very least, customizing out-of-the-box software. Let’s say you spent 7,500 combined manhours customizing your CRM (not unheard of,) you would get 10% of that 7,500 hours back as a credit. So, if your employees get paid $35/hr, you would be looking at around $262,000 total. That means your credit would be $26,200. Not bad! That’s a pretty significant tax credit which you could be missing out on. Since the R&D tax credit will reimburse you 10% of your R&D cost, and the majority (if not all) of those costs are going to be attributable to manpower, the main two documentations that you need will be timesheets and payroll. Here are some steps Jim provided which will help you take advantage of the R&D credit. Find an accountant who understands R&D tax credits. Sure, you could use your regular CPA, but why wouldn’t you want someone that specializes in tax credits to handle it for you? Same reason niches work in marketing — if someone specializes in a few things, you know they do those few things well. Figure out your associated costs. Your accountant will probably do this for you. Most of the time, these costs are going to be manpower-related. Have your tax specialist fill out Form 6765. Claim previous years. This tax is retroactive so you can claim the last 3 years at the same time if you haven’t done it before. Most of the steps will be handled by your tax specialist (if you hire one) so you shouldn’t have to put much legwork in. The only problem you could run into is payroll and timesheet related. If you don’t keep timesheets or super-accurate payrolls, it may not be worth it to apply for this tax credit. Let’s go over the caveats. When should you try to claim the R&D tax credit and when should you not? Jim went over some of the “magic” numbers with us. You should try to claim the tax credit if all of the following are true. You have around $200,000 in R&D related expenses, or you spend money on R&D every year. You have timesheets or expense reports that show definitive spending. You probably shouldn’t try to claim the tax credit if any of the following are true. Your total R&D expenses are under $100,000 (unless you have 2 or 3 years to proactively claim). You don’t have hyper-accurate timesheets or payroll. Since you’re going to have to pay your accountant, gather some timesheets, and spend a little time on the credit, you’ll probably just break even if you’re trying to go after anything under $15k. That is, of course, unless you’re proactively claiming it for a few years or you are planning on having R&D expenses each year. Related: What is a Healthy Profit Margin for a Digital Agency?